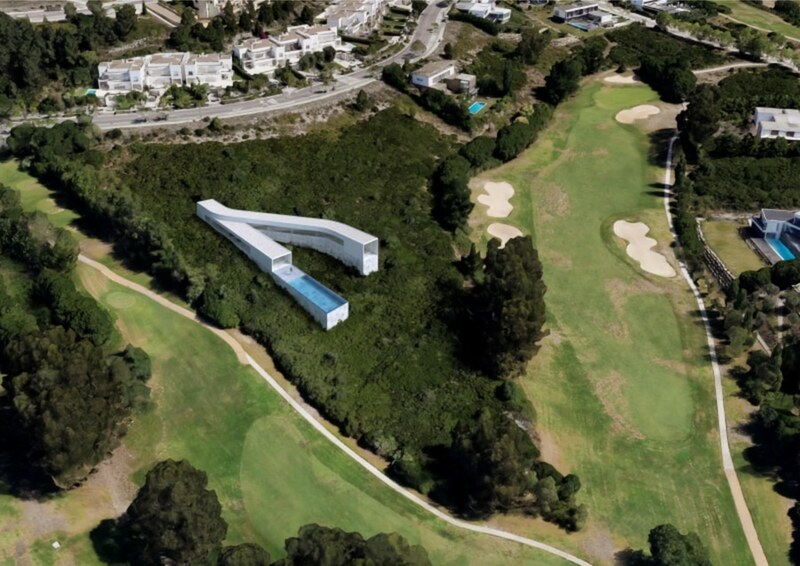 The house is located in the upper part of a field of a golf course with distant views towards the city of Lisbon. The project arises in this case from the site. 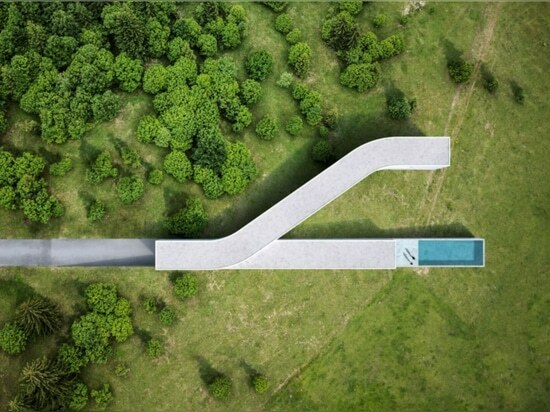 A topography that descends smoothly, a place where it can be built on a longitudinal surface with a triangular geometry. 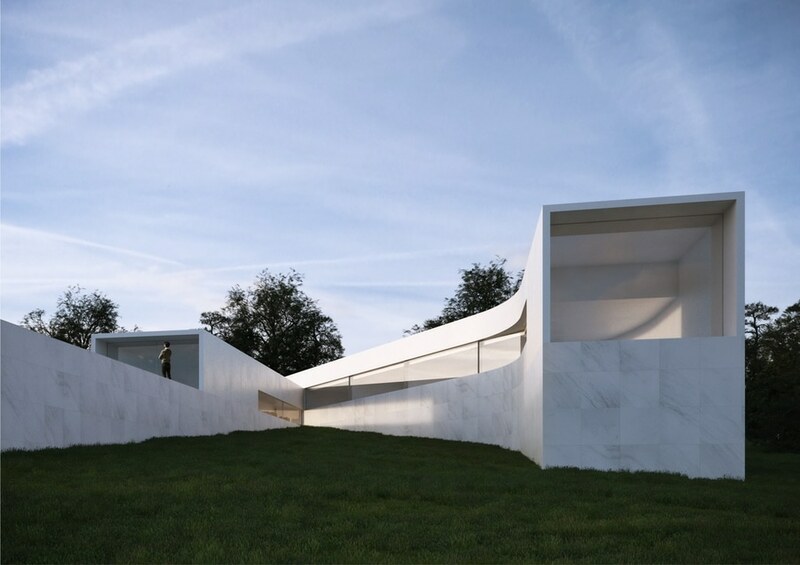 The wishes of their future owners also intervene, a house open to the landscape and simultaneously a more private space in which to enjoy the outdoors.Two pieces that meet at a point, where access and studies are located, are presented in this way. 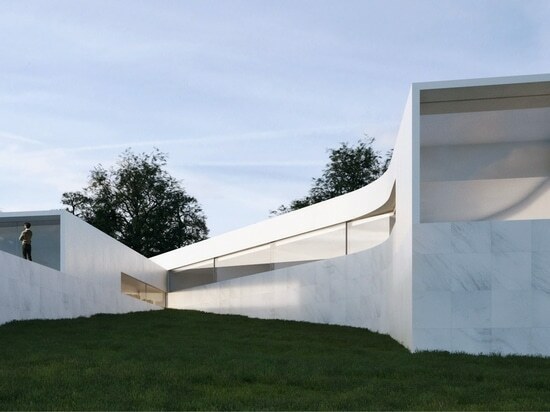 A longitudinal piece is inserted in the land, with a proportion that maximizes the perimeter of the architecture, in this space is the day area of the house. 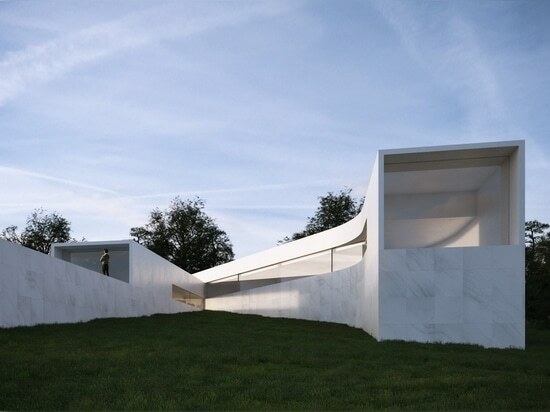 A second body unfolds from the point of contact, in which the bedrooms are located. 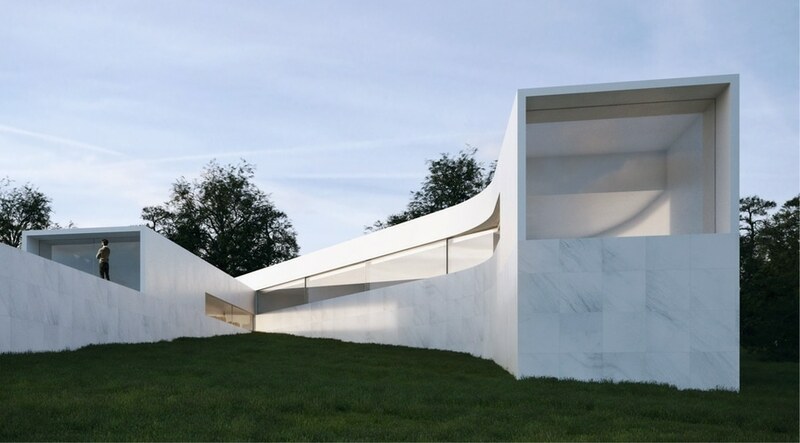 Both pieces respond to a straight and curved pattern that has always fascinated us in the work of Siza and Alfaro. 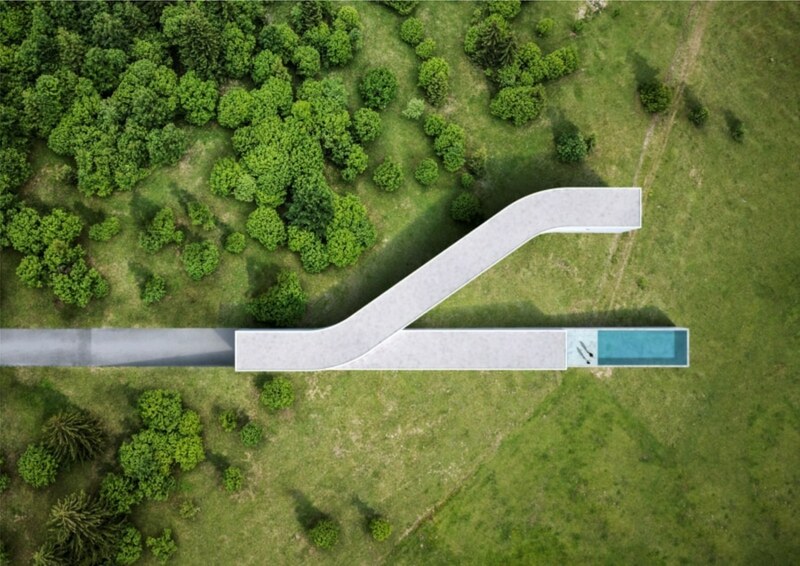 Between the two pieces there is a kind of patio that tries to respond to the duality between being protected and opening up to the landscape. 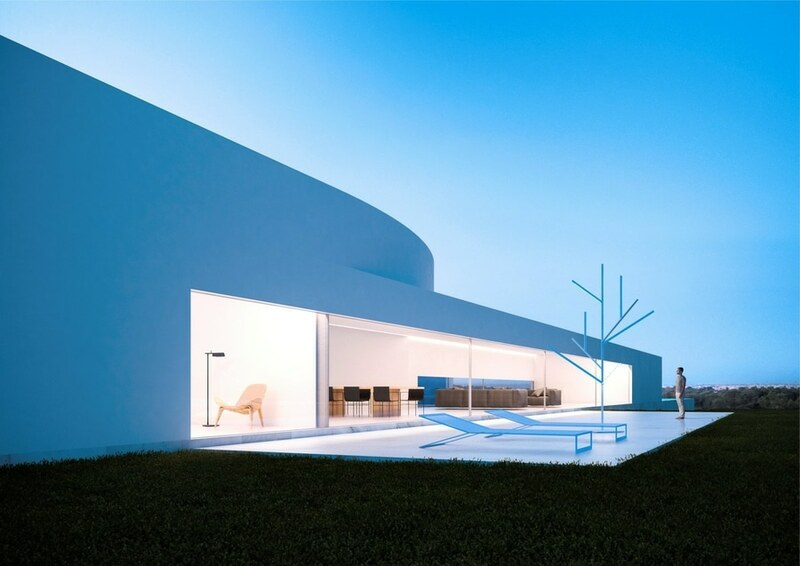 A delicious encounter that emerges from the dialogue with the users of this house. 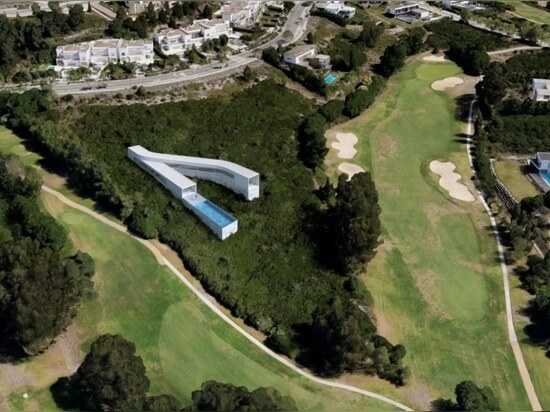 A dialogue that materializes in a project that goes beyond an architecture. 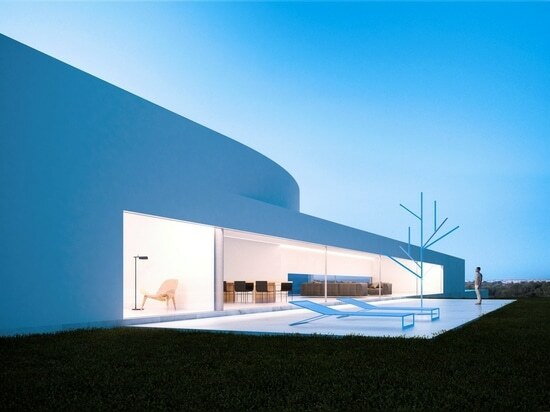 Source by Fran Silvestre Arquitectos.